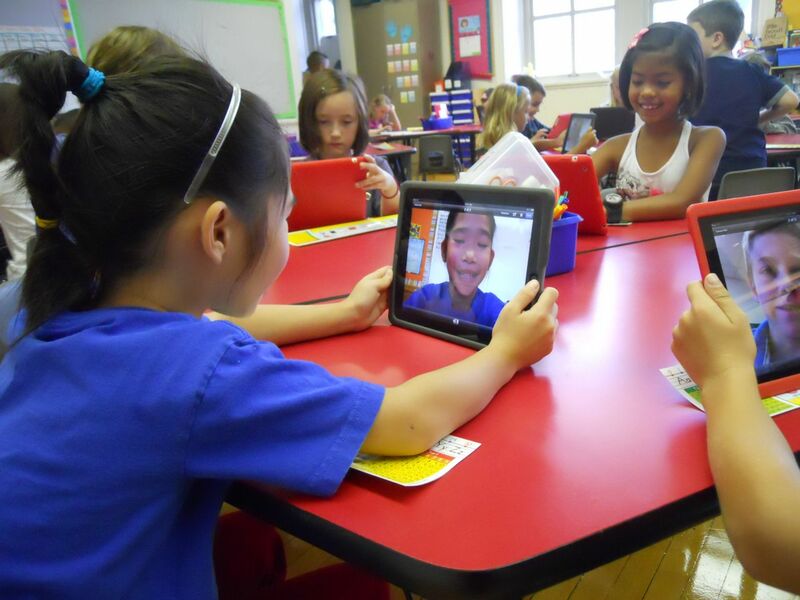 How is education being transformed by the tablet? We’ve been thinking a lot recently about the transformation the education industry is going through, particularly the materials used in teaching (from our educational material design point of view). A lot of the changes (and future thinking) have come about because of the technological advances in the tablet computer. Electronic educational materials are being integrated into the classroom all over the world in various degrees of immersion. America seems to be the most advanced in terms of integrating tablet devices and so we have taken a look at how some schools and educational facilitators are using the device’s own features to aid learning in the classroom. Since the iPad is a more established product than other tablet devices all of these examples use the iPad. However, Kindle Fire and Barnes & Noble’s Nook are catching up and undoubtedly education centers will adopt these devices, especially as they are much lower in cost. One particular person who is actively finding new ways to integrate the iPad into her classroom and teaching is Silvia Rosenthal Tolisano, who is a 21st Century learning specialist and writes the internationally acclaimed Langwitches blog. She is using the iPad’s built-in features to actively engage her learners in a range of ways. Not only does this make her classrooms and lessons much more fun and engaging places for her learners, but it really is equipping them with life long lessons that they will be able to apply to the outside world. One of the things she is getting them to do is creating their own digital eBook portfolios of their work. These can then be used to showcase their achievements at parents’ evenings. The idea of this being that the learners will be able to apply all of these skills into creating more eBooks of their work, study and learning. The iPad is also a valuable tool in helping teachers when it comes to assessments, as shown in this article from Burley School. Burley is Chicago’s first Literature and Writing Magnet Cluster School and one of the district’s first Technology Magnet Cluster Schools. They have been using computers in the classroom at an advanced level since 2006 when they started using the MacBook’s iSight camera. They have now upgraded to the iPad2 and are really making sure they benefit from all of the new features. Particularly the front and back cameras. The teachers are finding it easier to assess the students when work is submitted electronically via the iPad and they are able to understand more of how a task has been completed from the child’s perspective. It is a fascinating way of using the tablet computer, to not only facilitate lessons (and document learning) but also to understand how learners are developing and how they respond and understand tasks and assignments. Another very exciting idea that has come from Silvia at the Langwitches blog is teaching students to integrate interactivity into their static pieces of artwork. They were asked in an artwork class to draw their interpretation of Van Gough’s Chairs. They were then asked to write their reasons for interpreting it in the way they did. Using the iPad they recorded themselves reading their passage, then they had to e-mail this file to their teacher. The teacher then uploaded the recordings to the schools FTP site and each recording was given a URL. Each of these were then given a QR code which was placed into the the original artwork and printed out. 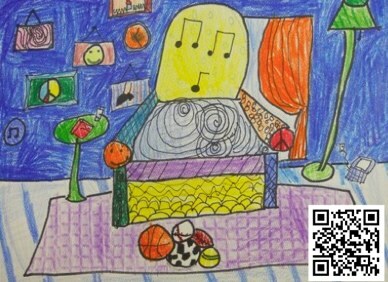 Anyone viewing the artwork with a QR code reader could then hear the child’s own voice explaining their reason for creating the artwork in the way they did. Imaginative stuff hey! There is so much happening in the world of education and technology and these are by no means the only examples out there. We feel that as a book design studio it is important to understand how technology is being used in the classroom and be aware of things we can be doing to echo the way learning with new technology is being implemented.